“Ladies and gentlemen, I’ll be very glad to tell my story. 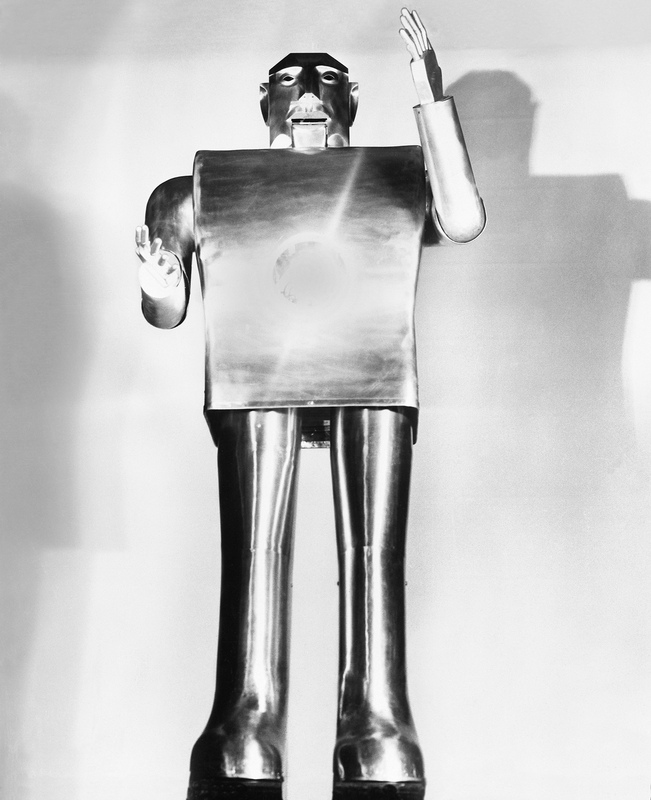 I am a smart fellow as I have a very fine brain of 48 electrical relays.” This is how Elektro the robot introduced itself to crowds at the 1939 New York World’s Fair. Standing 2.1 meters tall and weighing 118 kilograms, Elektro performed 26 different tricks, including walking, talking, counting, and singing. It had a vocabulary of approximately 700 words, although its responses were all prerecorded and played back from 33⅓-rpm records. One of Elektro’s pet lines was, “My brain is bigger than yours.” At 25 kg, it certainly was. Amazon To Make Its Engineering Training Courses Available For Free. LOS ANGELES (Reuters) – Barbie, the world’s most iconic doll, is venturing into coding skills in her latest career as a robotics engineer. The new doll, launched on Tuesday, aims to encourage girls as young as seven to learn real coding skills, thanks to a partnership with the kids game-based computing platform Tynker, toymaker Mattel said. Robotics engineer Barbie, dressed in jeans, a graphic T-shirt, denim jacket and wearing safety glasses, comes with six free Barbie-inspired coding lessons designed to teach logic, problem solving and the building blocks of coding. The lessons show girls, for example, how to build robots, get them to move at a dance party, or do jumping jacks. According to U.S. Department of Commerce statistics, only 24 percent of STEM (Science, Technology, Engineering, Math) jobs were held by women in 2017. A new sport is emerging in local middle schools — robot battles. St. Mary’s Episcopal School, a private all-girls pre-K through high school, held its first VEX IQ Challenge Tournament at its East Memphis campus last weekend. The event sold out within 30 minutes. If an indication is needed to show how popular robotics competitions have become among kids, that’s it. “I told the girls that robotics is a new sport,” said Meagan Michael, a lower school science teacher at St. Mary’s. Participants came from Piperton, Medina, Collierville and Memphis. The 32 competing teams were made up of co-ed elementary and middle school students ranging from 3rd to 8th grade. A lot of schools, including St. Mary’s, also are pushing robotics because it involves problem solving. “When building robots, it requires a lot of skills students might not learn in the classroom,” Michael said. 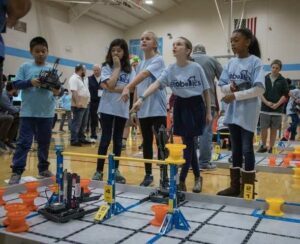 Parents are recognizing the benefit of robotics competitions as a way to prepare their child for jobs of the future. 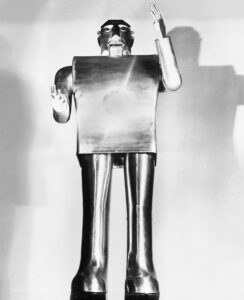 Competitions are not solely about building robots, they also involve design, writing and public speaking. St. Mary’s has been working to host a VEX Robotics competition since Michael joined the school as a new teacher last year. St. Mary’s is part of Girl Powered, Redefining the Face of STEM, a global initiative to increase girls’ access to and confidence in science, technology, engineering and math (STEM) careers. Launched in 2016 by the Robotics Education & Competition Foundation and VEX Robotics, Girl Powered is striving for 50 percent of robotics competitors to be girls. The ultimate goal is shattering the status quo. Currently, girls make up about 23 percent of VEX Robotics participants and women represent 24 percent of the STEM workforce, according to Girl Powered. CNN: Meet the engineer behind NASA’s robotic arm for Mars.